Most parents want their kids to stop making too much noise. Robin Rapuzzi’s father wanted him to start. At the age of nine, his father taught him to play a few beats on a drum set, primarily to give him accompaniment while he played guitar. So it’s safe to say Robin’s been gigging since he was a kid. Years, and several gigs with punk bands later, Robin found himself in New Orleans, living with a jug band. When their washboard player got sick, he jumped in, quickly discovering a similarity between the simple yet driven progressions of punk rock and the danceable jug band music. He’s been keeping the beat ever since, most notably with the internationally touring, New Orleans street-tested jazz band Tuba Skinny. There’s a lot of things that set Robin apart as a percussionist—not just his uncommon instrument and his attention to detail, but his deep respect for the traditions of the washboard and the sounds of the city he calls home. You can often find him poring over recordings from the 20’s and 30’s to learn the techniques of the masters before him, and to find ways to turn those techniques out with a sound distinctly his own. Unique among percussionists, washboard players require thin cymbals that allow the player to splash them with a thimble and choke them with ease. Do it fast enough, Robin will tell you, and you can make the cymbal talk. But for Robin, it’s not just about making a crash. It’s about trying to evoke a purer sound that welled up from the streets of his adopted hometown. On his drum kit, Robin’s also interested in finding old school sounds. His 1920’s style drum kit includes a wood block, Chinese Tom Toms, and suspended cymbals. All of it a part of re-creating sounds in danger of being forgotten. So perhaps it’s not a surprise that Robin uses the Holy Grail cymbals from Cymbal and Gong—hammered by hand in Istanbul and refined in Portland, Oregon. 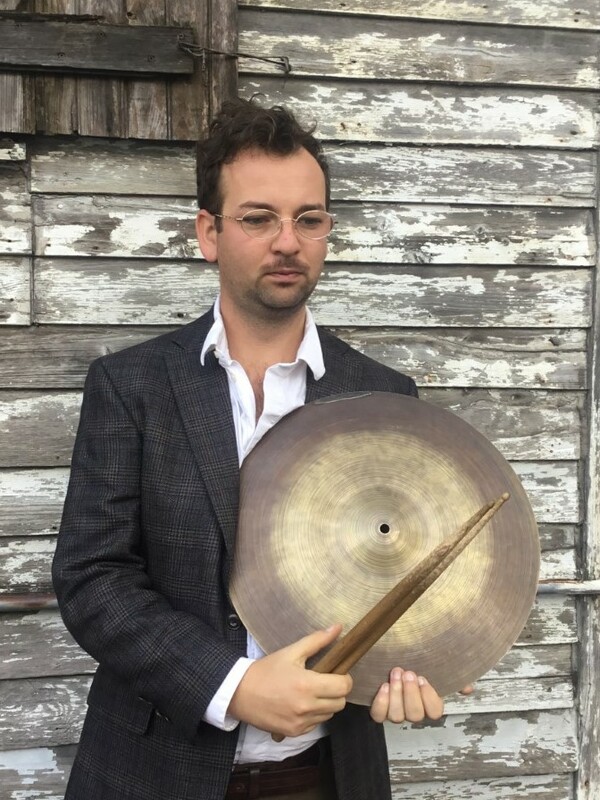 Cymbal and Gong aims to replicate the sounds of the early twentieth century, and to place their instruments at the fingertips of those who appreciate them the most.